Kathy will be presenting “THE WITCH & THE WISE WOMAN: All Your Dreams Come True While You Save The World, Too!” at Open Your Mind, Open Your Heart 2013 on Saturday, June 1st from 10-11:15 a.m.
Kathy Davis has earned a reputation for her quick wit, exceptional intelligence and her passion for what she terms “the sacred power of women to create the possible from the impossible. Drawing on more than three decades of leadership in corporate America and several non-profits, she has emerged as her own unique brand, blending ancient wisdom with 21st century reality to evoke, encourage and inspire women to transform our world starting with our own lives. The founder of three enduring women’s groups and also a certified therapeutic yoga instructor, Kathy has been on a personal mission to debunk the stereotype of ugly witches with green skin, scraggly hair and warts. 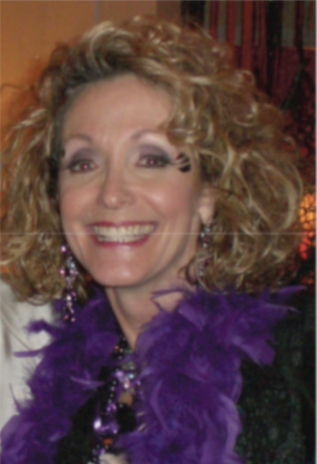 Eleven years ago she elevated her life-long quest to dramatic new heights with the First Annual Beautiful Witches Ball & Fly-In. Today the event, which honors women as an essential source of wisdom and creativity, has far outgrown its original home and has spawned satellite events in other cities as well as overseas. Contact Kathy at kathy.a.davis@gmail.com.